Nike have long been a reliable source for retro trainer designs. After all, when they have such an extensive back catalogue of classic trainers as they do, they are rarely short of inspiration. 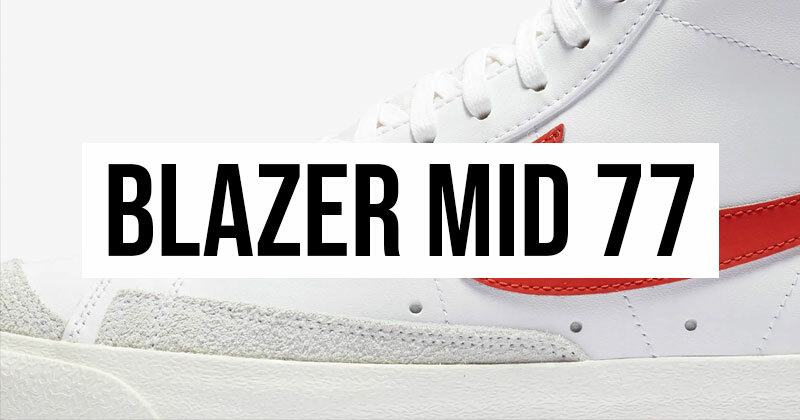 New to the release calendar is the Blazer Mid 77, with “Habanero Red” and “Lucid Green” colourways. 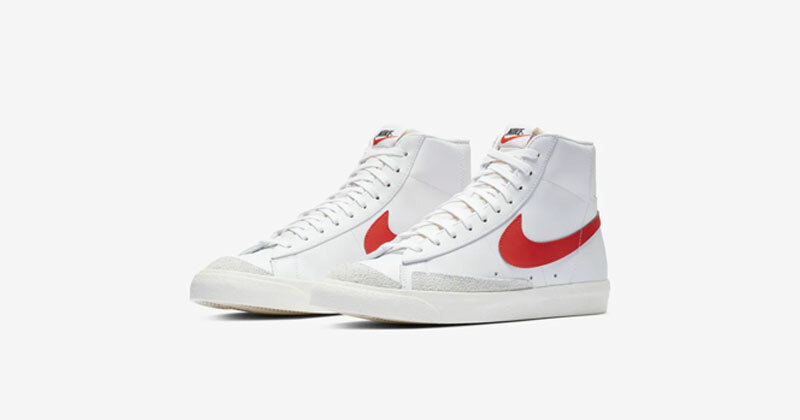 The Blazer debuted on the basketball courts in 1972 and has been a huge fan favourite ever since as style keeps coming back round to them time and time again. Named after the Portland Trailblazers, the silhouette has become iconic all over the world, integrating itself into street fashion on its way. The new Mid 77 model separates itself from its older ’72 father in an attempt to stretch its own legs and make a name for itself out there in the modern world. The new Mid 77 model includes a much slimmer profile and additional wraparound guards covering the toe and midfoot in an off-grey suede and a weathered midsole offset the white base and the coloured swoosh. 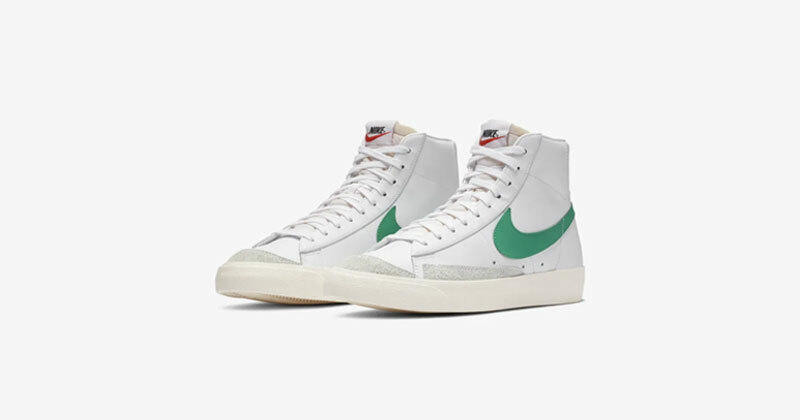 The shoe is built up with a ‘Sail White’ ultra clean looking base which really helps the swoosh stand out in both the “Habanero Red” and the “Lucid Green” (whichever you choose to go for) as it fires down the lateral and medial sides. These leather kicks are great for a bunch of different looks and will hold up against the wetter weather – you might just want to pay extra attention to the suede adornments to keep them looking fresh if you prefer the clean look. But we think these retro trainers look even better with a bit of wear and tear and should be an addition to anyone’s collection. The new colourways join the “Pacific Blue” which is already out there and has been selling well amongst the vintage enthusiasts. Check out these, as well as many more trainers at FOOTY.COM where you can compare the best prices so you don’t pay over the odds for a new pair of kicks.